Richard Nisbett and his collaborators have carried out an extensive program of experimental cross-cultural psychology, mostly aimed at establishing differences between the ways of thinking of Easterners and Westerners. Some of the differences they have studied pertain to the domain of argumentation: Easterners are supposed not to be really bothered by contradiction (making arguing tricky) and to frown upon the debates and discussions that threaten social harmony. These claims are based partly on a survey of the anthropological, sociological and historical literature, partly on some experimental results. I have attempted to reinterpret some of these data in order to show that the situation is somewhat more complicated than could be thought at first (for more detail, see my submitted paper). 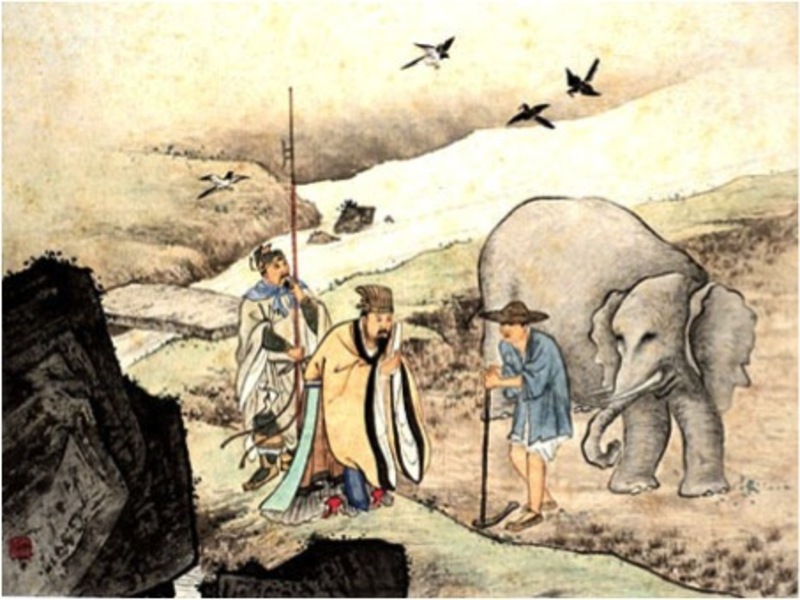 Recent scholarship shows that the ancient Chinese were in fact skilled arguers, and that debates and dissension were rife during both Chinese and Japanese history. The experimental data is also open to weaker reinterpretations, highlighting the commonalities between Eastern and Western style of thoughts, as well as the extreme context-dependency of cognitive mechanisms. Viscount Wên, a general of the Wei State, once called on Tsêng Tsŭ . Tsêng Tzŭ did not stand up but asked him to take a seat while he set himself on a seat of honour. Later, Viscount Wên said to his coachman: "Tsêng Tzŭ is rustic. If he thinks I am a gentleman, why should he pay me no respect? If he thinks I am a rascal, why should he offend a rascal? That Tsêng Tzŭ has never been humiliated is good luck." ‘Well, do you imagine I could face them if I were dead?'" This anectode, gathered in the 3rd century BCE (see Harbsmeier, 1998), shows both argumentative sophistication and a disrespect for tradition and authority (and from a servant!) that stand in sharp contrast with the common view of ancient (or modern) China. Still, some substantive differences can be found in the canonical styles of argumentation that developed in the East and in the West. As a first step towards a classification, a distinction between three types of differences is suggested. First, the type of content that bears a rhetorical advantage will vary with the cultural context. For instance, it has been shown that arguments defending a more risky option tended to carry the day more easily in America than in China (at least that was true 30 years ago, the situation might be more complicated today). Second, the type of argument that will be looked for also varies with the cultural context. For instance scholars have claimed that in ancient China people tended to look for arguments attacking their opponent's point of view while the Greeks favored attempts to build an unassailable defense for their own conclusions (for references, see the paper mentioned above). Lastly, culture will also impinge on the use of different tactics for compliance: argumentation will sometimes be replaced by threat, supplication, manipulation, etc. In the West (and probably in many other cultures), children learn progressively that argumentation is often an efficient way to solve conflicts, and use it more often with age (starting from very early on, around 18 or 24 months). The main point of this post is to ask for ideas. First of all, does this classification make sense? And if it does (or even if it doesn't, as a matter of fact), where could relevant anthropological evidence be found? There is a sizable literature on legal anthropology that bears partly on the processes of argumentation in court settings, with all too rarely detailed analysis of the debates (Hutchins' Culture and Inference being maybe the best example). Any suggestion for references, keywords, trails to follow would be more than welcome. Harbsmeier, C. (1998). Language and Logic (Science and Civilisation in China, Vol. 7). Cambridge, MA: Cambridge University Press. Hong, L. K. (1978). Risky shift and cautious shift: Some direct evidence on the culture-value theory. Social Psychology, 41(4), 342-346. Hutchins, E. (1980). Culture and Inference. Cambridge, Massachusetts: MIT Press. Nisbett, R. E., Peng, K., Choi, I., & Norenzayan, A. (2001). Culture and systems of thought: Holistic versus analytic cognition. Psychological Review, 108(2), 291-310. Peng, K., & Nisbett, R. E. (1999). Culture, dialectics and reasoning about contradiction. American Psychologist, 54(9), 741-754. Hugo Mercier published The Evolution of God? Hugo Mercier published Cold and warm relationships: A universal metaphor?